Back to School is a busy time for educators as they set up their students for success -- laminating name tags, creating bulletin boards and writing lesson plans. They know that for many children, the first few days back to school can make or break their year. As educators sharpen their pencils, the HRC Foundation’s Welcoming Schools program is working to ensure that schools also take the time to make classrooms a welcoming place for all by cultivating an LGBTQ and gender-inclusive learning environment. Use inclusive language on all forms. Back to school means paperwork for families. Educators can make the process welcoming by ensuring all handbooks, forms and other communications are inclusive of all family structures and gender identities (e.g., using phrases such as “families and caring adults” in place of “moms and dads”). Stock your library shelves with diverse books. Make sure students have access to books that reflect not only their lives but also identities and perspectives outside their experiences. Challenge stereotypes by featuring a Welcoming Schools recommended book as a first day read-aloud. Create a welcoming bulletin board. We know displays are important features in every classroom, so why not switch out the apples and school buses for a display that shows diverse family structures and people of different races, gender expressions and abilities? Use slogans that encourage respect for all people. For an easy visual, print a Welcoming Schools safe school sign. Develop clear classroom and/or school agreements. Educators must ensure that bullying policies specifically name groups that are disproportionately bullied or harassed, and then make it clear to students that this means no put-downs about who someone is or who their family is. 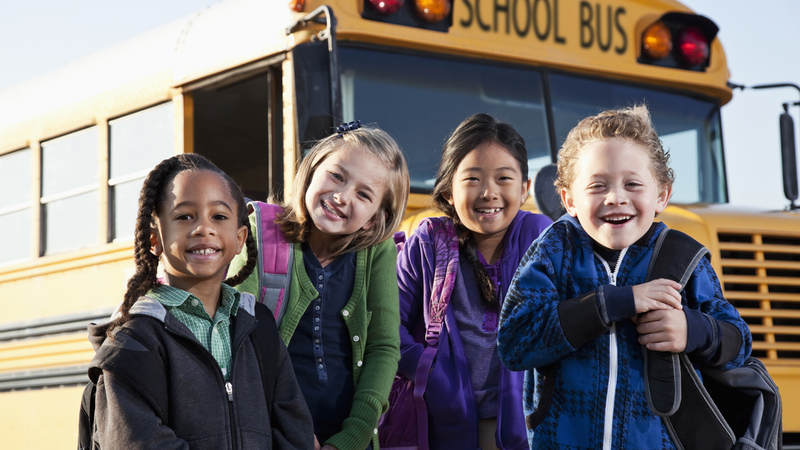 Preventing bias-based bullying starts on day one. Prepare for teachable moments. Educators can practice how to respond when they hear students say things like “That’s gay!” or “You act like a girl!” or “You’re not a real family because you don’t have a dad!” Be prepared to interrupt mean teasing about a child’s identity or their family. Model inclusive language. Instead of addressing classes as “boys and girls,” try using non-gendered words like “students,” “scholars,” or “friends” to be more inclusive of all identities. Group students according to something other than gender. There’s no need to have boys’ closets and girls’ cubbies. Divide children by number or line them up by birth month, color of clothing or alphabetically by name. Try a new lesson plan. Educators can give one of the Welcoming Schools lessons a try and start the year by teaching students how to be allies and learning about what makes each child special. Plan a family night. Hold an evening event to celebrate all families. Provide information for families and caring adults to help them talk with their children about LGBTQ and gender topics. For more strategies and resources, visit the HRC Foundation Welcoming Schools website. Welcoming Schools is here to support you. HRC wishes you and the children in your care a wonderful 2018-19 school year.